WHD.usa is the main industry event in North America. It is a two day event featuring keynotes from industry leaders, sessions on the latest business practices and trends, an exhibition hall featuring cutting edge technologies and services, and networking events. The event takes place on September 11th & 12th, 2017 this year. 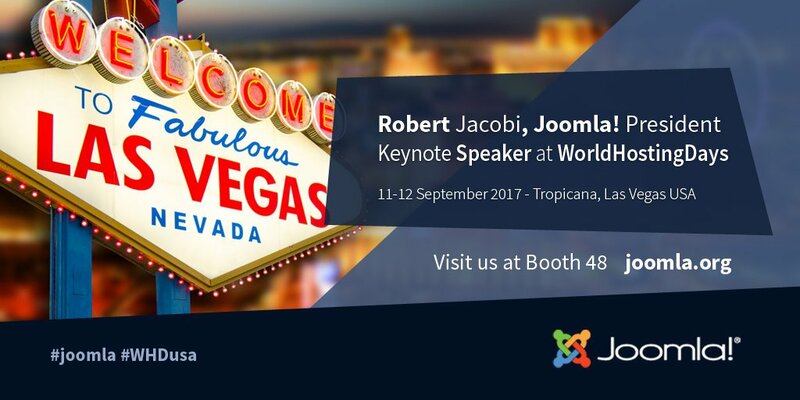 The Joomla project is being represented by Robert Jacobi, President of Joomla.org, who will be one of the keynote speakers for the event. Three other Joomla Capital Team members will also be there, Mike Demopoulos, Treasurer of Joomla.org, Jay Blaq and Joe Sonne. Jay and Joe will be manning the Joomla booth (#48) in the exhibition hall. We’re expecting to raise the profile of the Joomla project and provide opportunities for event attendees to get involved with Joomla as sponsors.